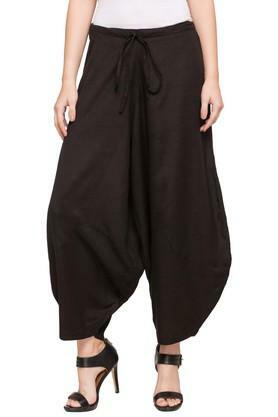 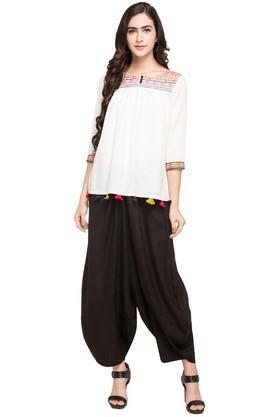 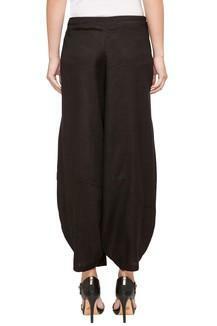 Let this pair of dhoti pants from the house of Imara stylise your look. 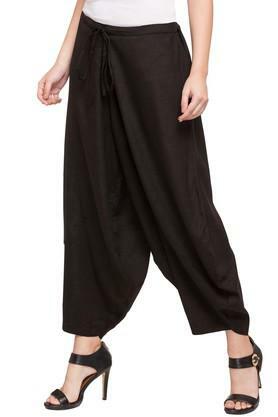 It has been made of a fine quality fabric that makes it comfortable to wear, while at the same time offers an easy maintenance. Moreover, the drawstring fastening at the front offers a snug fit. You can wear this pair of dhoti pants with your favourite kurta to flaunt a distinct style statement while going for any casual occasion. It comes with a solid pattern that enhances its overall design.